37 weeks and 5 days! At 37 weeks we have officially reached early term pregnancy! We made it! Forget what your mother told you - in 2013, The American College of Obstetricians and Gynecologists redefined full term pregnancy. New definitions included early term (37-38 weeks), full term (39-40 weeks), late term (41 weeks) and post term (in excess of 42 weeks). 4 days. I only have two appointments left before my due date now. Crazy! It's finally beginning to feel like Spring around here, so this morning when taking the mail out, I decided to wear my slip-ons instead of my Winter boots. It was the first time since Fall that I had worn them and I quickly realized that they had become "shove-ons" in the time since then. I learned this week that it is entirely possible to go an entire pregnancy without stretch marks only to "get" them after the baby is born. Um...WHAT?! Technically they form before the baby is born, but they aren't visible until after birth. How does it work, you ask? If you picture your belly being stretched tight like a drum throughout pregnancy, and then you have your baby and some other things, the "drum" becomes less taut and...yeah. It all makes sense now. But that doesn't mean I like it. I've been putting lotion on every single day for the past 6+ months to help prevent this. So far I don't see any signs of stretch marks on my belly or sides but I guess we'll have to wait and see! I still can't seem to get much sleep in one stretch anymore. I get 5 hours of sleep at night and most days I don't get around to taking a nap. I think I'm starting to have the sleeping woes that most pregnant women experience at some point: waking up several times in the night to go to the bathroom, having a hard time getting out of bed to go to the bathroom due to stiffness and pain in the pelvis and achy bones... I'm probably the most uncomfortable when I'm trying to get out of bed after sleeping. This is going to sound incredibly off-the-wall and bizarre, but you guys - I went to the dentist! There was a moment this week where I desperately wanted hot dogs. 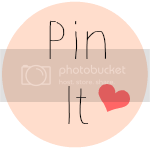 Let's talk about the 37th week of pregnancy. If you're a mom and "been there, done that", Hi, hi, hello, how are you? If not, let me try to explain what plate tectonics and pregnancy have in common. Let's begin. 1. EVERYTHING. Pregnancy and plate tectonics have EVERYTHING in common. Even the Bible says so. ...these are but the beginning of the birth pains." See how one side at the gap is risen above the other? If you're wondering, you can feel this bone shifting around and the bones rubbing against each other. 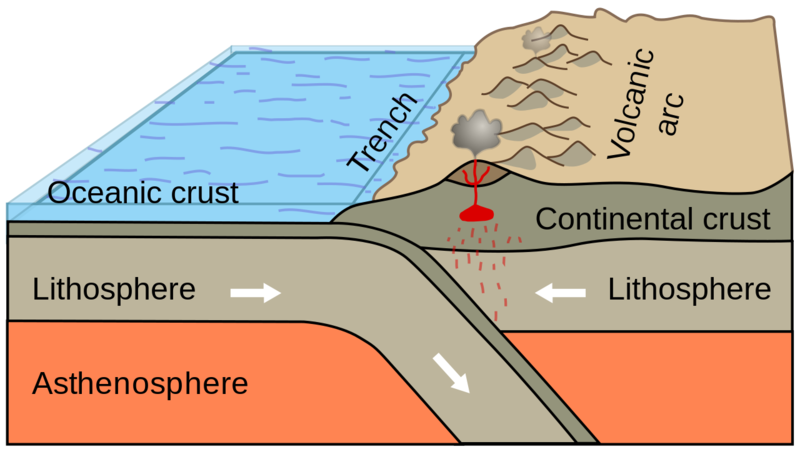 You'll see that when two plates of the earth's crust converge, one must go under the other or form a mountain range or something. It's been a long time since I was in 4th grade. Now go back to the picture of the pelvic bone above and tell me it's not the same exact thing. Disclaimer: I am 8 months pregnant. I cannot guarantee that I won't eat you for disagreeing with me. And now you know how pregnancy and plate tectonics have everything to do with each other. "You're due so soon?! But you're so little! I thought you had longer to go than that." "37 weeks?! But you've got such a tiny little bump! I bet you hear that all the time." Yup, I do. I like having a cute lil' bump. The first thing I'm going to eat after having this baby is cake mix and no one is going to stop me. I had my doctor check me again to see if I had made progress from the week before. With Jason's work week, I knew it would be helpful to know so he could modify his schedule if need be and get home in time if something started to happen while he was away. The verdict? In one week I went up from a 1 to a 1 1/2! 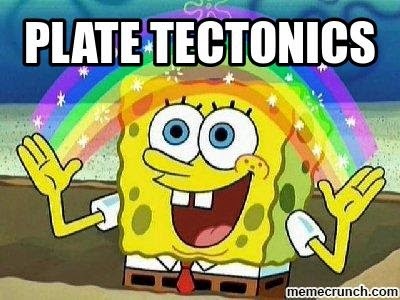 All of my plate tectonic movement is amounting to something! Usually pretty happy. But we all have our moments, right? I've always said that God has a very ironic relationship with me. If He can show me irony in some way to teach me a lesson or help me "grow", He will. "Let he who thinks he stands take heed lest he fall." Like this one time back in college. I wore a sunshine-yellow t-shirt to school with a big smiley face on it that said "SMILE" in all caps, and then proceeded to have a horrible day and was definitely not smiling. It was like the shirt was taunting me and God was up there smiling at me in all of my frustration. To this day I'm very cautious about wearing that shirt. Or...like last week when I went on my one-stop hippie love boat cruise to Atlantis going on and on about being positive in every situation...and then proceeded to have a bad day the next day. To be fair, I was sick, emotional, had cleaned up more puke than I would like to admit before 10am (not all of it mine), and was dealing with some bigger issues that were really getting me down. So much for my Disney cruise to Wonderland. But I have long moved on from that bad day and decided to tackle this week with new resolve. (Not being as sick anymore really helps with this.) But that doesn't mean the potential for difficult people and situations can't arise. Earlier this week I was having to deal with a person who was very high up on their own horse and I could do nothing but grit my teeth, bite my tongue, and turn the other cheek and yada yada. I've been told to try and visualize a happy place when in undesirable situations. So I did. He made the heavens and the earth. Surely He can ride a bicycle with no hands. And a dove would land on His shoulder while doing so. "Dear Lord, thank you for giving me the strength to bear the weight of this life..."
To which I nodded solemnly with my fist up to my mouth before letting out a wide grin behind my hand. Out of the corner of my eye, I could see Jason giving me his best "Whatchu talkin' 'bout, Willis?" and I knew I had to explain. "I was thinking of the laundry room door falling on me! 'Dear Lord, thank you for giving me the strength to bear the weight of the laundry room door...'"
Jason has a lot to deal with being married to me. Very itchy bumps on my legs and arms, can't really bend over to pick things up (squats all day), lots of pee trips, acid reflux, leg cramps, stiffness after sitting/standing for extended periods of time, aversion to smells, it hurts to bend over now since the baby's head is so low, lightning pains, nausea, pelvic pain, bones grinding against each other (not sure of the technical term for that one), very heavy feeling in the pelvic floor like all my insides are going to fall out through my middle, etc. Jason's going to be done with work tomorrow! DONE! D-O-N-E. Dunzo! I can't wait to have more time with him. (: And let's just all take a moment to remember 2004 when dunzo was a thing.